When training for an event, or just simply working out to get fit, it is important to consider what you’re eating. That old phrase; “You are what you eat” applies here. Keep in mind though, there’s not one set meal that you should have before or after your workout, but you should look for certain types of foods that will give/restore energy. Skipping a snack before your workout actually isn’t a good idea. Whilst you may think you’re saving the calories, it could actually sabotage your exercise because of low blood sugar; leading to light-headedness and fatigue. 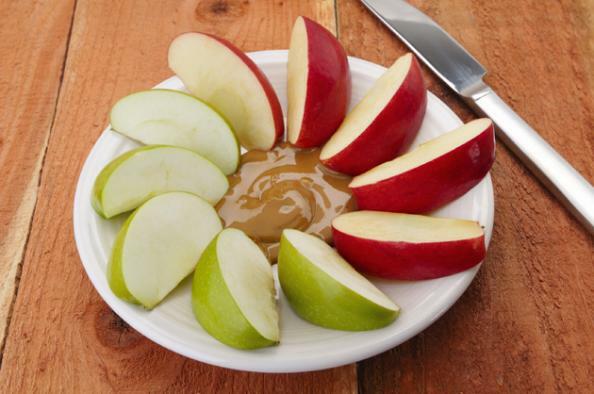 We thought this month we would collate a few of our favourite pre and post workout snacks that will make you more energized for your next workout, and give you great results. A slice of whole-wheat toast with some peanut or almond butter, and one sliced banana on top not only tastes delicious, but it does wonders for your body too! This is super easy to digest, giving you a kick of potassium to revive what you sweat out. You could also add a dash of cinnamon, which is good for stabilizing blood sugar! If you’re one of those people who loves to make fruit smoothies on the regular, this one could be for you. Grab a banana, some strawberries, even some anti-oxidant rich blueberries and blend them up with a good swish of coconut water. We like to add a knob of ginger into our smoothies, as it has anti-inflammatory properties which can help your muscle recovery. Grab yourself an apple and a handful of plain walnuts or almonds if you’re on the go. This will give you the boost of energy that you’ll need for your workout, without overloading you with sugar or heavy carbs. Nuts have slow releasing energy that will keep you moving! Once you’ve completed your workout, it’s important to eat again to restore the nutrients you’ve lost and aid in muscle recovery. 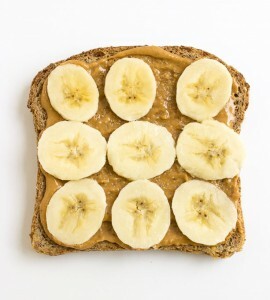 Pair any of these three post-workout meals below with a big glass of water to hydrate! This is the most common of post-workout meals. 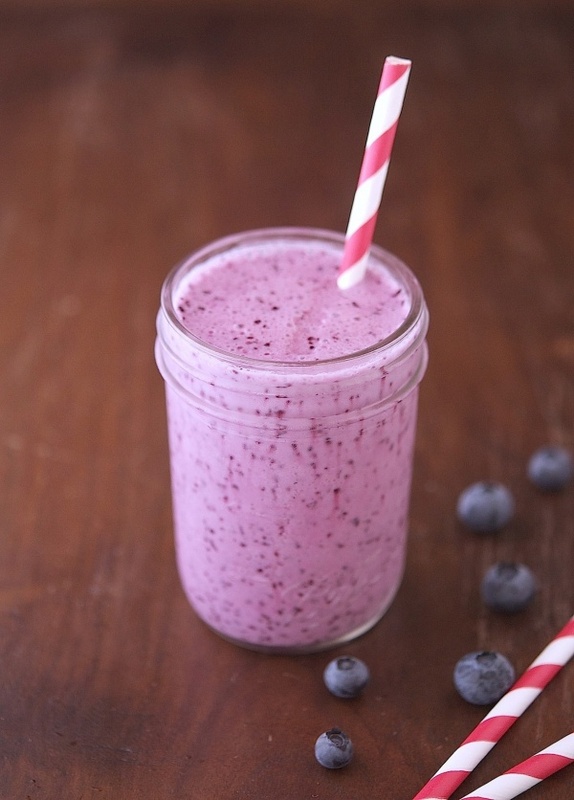 Your shake can be anything from a big ole’ glass of chocolate milk, to a more complex shake. We suggest you grab a generous handful of spinach, half a banana, 1-2 scoops of protein powder and a bit of water or semi-skimmed milk. You can of course just go with some protein powder and water, but this provides more of a hearty recovery meal. Who doesn’t love pancakes? These beauties are even better, because they’re packed full with protein and they’re super healthy. You will need 2 eggs (you can substitute one of the eggs for just egg whites if you prefer), one small banana, and 1-2 scoops of a protein powder of your choice. Mix up the flavour with your protein powder or by adding some cacao powder, and top with sugar-free syrup and strawberries. YUM. Looking for something a bit more hearty? 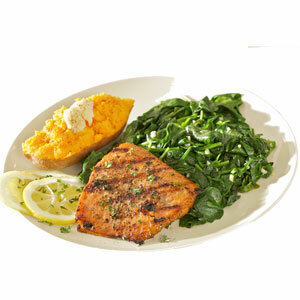 Try this Salmon and Sweet Potato meal. Salmon has bioactive peptides; which in short is protein that helps reduce inflammation and regulate insulin levels, which is great for your joints. Sweet potatoes are great complex carbs, which are sure to restore your glycogen after your workout. Posted in All News, Fitness Tips, What to eat.